Some great books are the product of a lifetime of research, reflection, and labored discipline. But other classics are written in a white heat during the moment of discovery, with prose that shines forth like the sun pouring into the window of a time when a new understanding brings in the world into focus for the first time. The Market for Liberty is that second type of classic, and what a treasure it is. 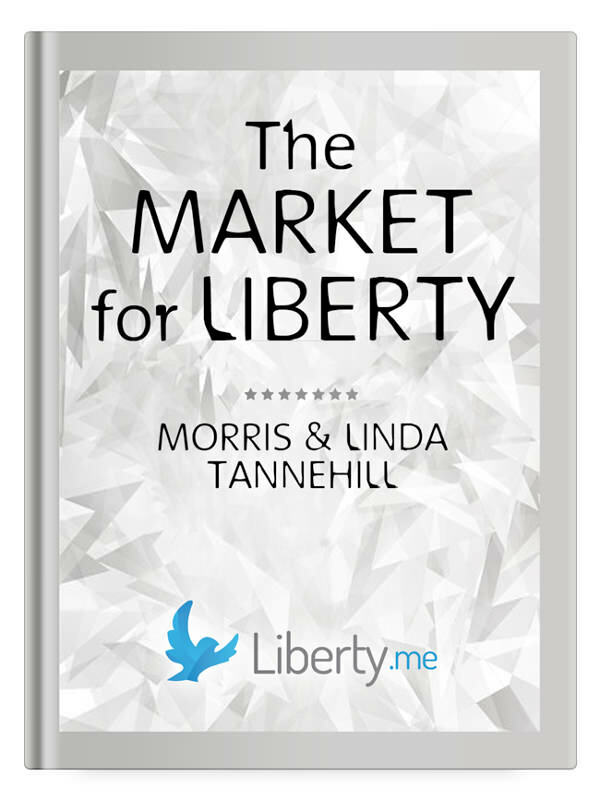 Written by two authors — Morris and Linda Tannehill — just following a period of intense study of the writings of both Ayn Rand and Murray Rothbard, it has the pace, energy, and rigor you would expect from an evening’s discussion with either of these two giants. More than that, these authors put pen to paper at precisely the right time in their intellectual development, that period rhapsodic freshness when a great truth had been revealed, and they had to share it with the world. Clearly, the authors fell in love with liberty and the free market, and wrote an engaging, book-length sonnet to these ideas. This book is very radical in the true sense of that term: it gets to the root of the problem of government and provides a rethinking of the whole organization of society. They start at the beginning with the idea of the individual and his rights, work their way through exchange and the market, expose government as the great enemy of mankind, and then-and here is the great surprise-they offer a dramatic expansion of market logic into areas of security and defense provision.